Officials who attended were H.E. Mohammed Abdullah Ubaid Al Mullah, Vice Chairman, Dr Engr Yousef Al Ali, CEO and Executive Board Member of RTA and PTA, Directors of RTA, PTA and DTC. Iftekhar Ahmed and Shoaib Al Zarooni of Al Dobowi addressed 12,000 taxi drivers. 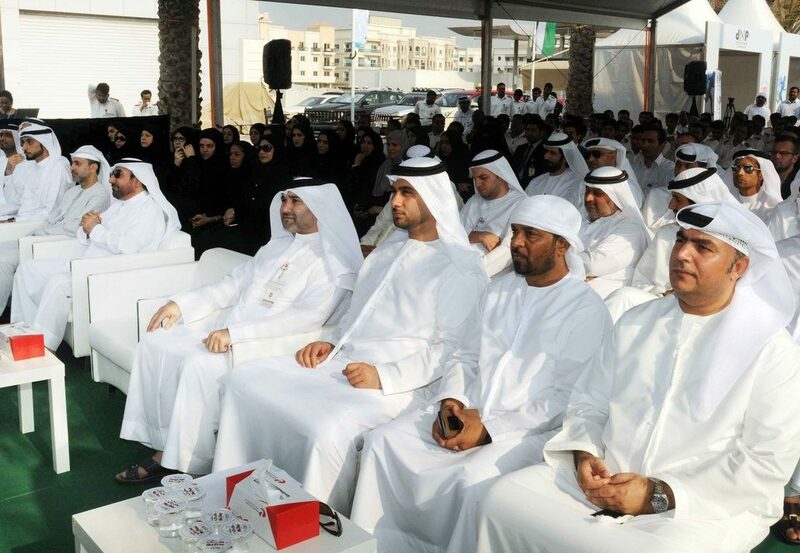 The programme’s aim is to have a HSE target of zero fatality on Dubai roads by 2020. Eternity tyres mining team, as part of its C2C (Closer to Customer) programme, visits customer sites on a monthly basis to inspect the supplied tyres and the operating conditions. An analysis and recommendation is then shared and explained in detail to the customer to ensure optimum tyre performance for improved productivity. Consumer Engagement Infinity Tyres Saudi Arabia. General Automotive, installed pop-up stands in the popular malls in the three regions, which increased the Infinity brand awareness throughout Saudi Arabia. The consumer engagement campaigns were held at the Red Sea Mall, Jeddah in May, Gallery Mall, Riyadh in June and Dhahran Mall in July.